∙ Adjustable feet for wonky floors. ∙ Slotted hooks to hang coats, hats and bags. Coat ‘tree’ coat and hat stand hand-crafted from solid Oak. Designed and made in house, Coat Tree’s are totally exclusive to Boot&Saw. A unique and quirky design, the coat tree features the same solid oak body as our traditional coat stand and features 5 hand-made Oak hooks to suggest a tree formation. Each hook has a slot for your jacket loop or handbag strap to hook into. 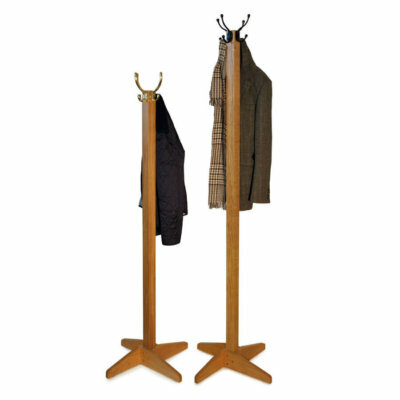 Constructed using quality, suatainably sourced Oak, our coat trees are sturdy and durable providing ample space for a families coats, jackets, scarves and more. 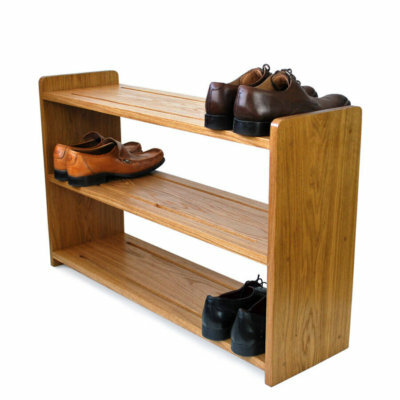 We use European Oak, which naturally features a beautiful colour and grain. A robust wood, Oak will last longer than cheaper pine and is better suited to everyday use and wear that a family bring. If you want the best available, Oak is it. A stunning center piece for any contemporary or classic home, each coat stands is finished with durable Danish oil and supplied with subtle, adjustable feet for uneven floors. 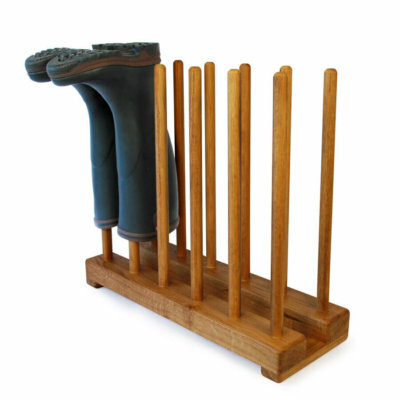 Our oak coat tree coat stand comes ready assembled and oiled. Simply unpack and it’s ready for use. Effortless and thorough deserving of a 5 star review. Responsive to pre-order questions, and accurate wait time for deliverery. All my expectations managed…. just as you’d expect 😀, can’t ask for more than that. And of course the coat tree itself is fab! I’m so glad I chose to order my coat tree, it’s a beautiful addition to my home. I wouldn’t hesitate to use boot and saw again in future. Beautiful coat tree, thank you very much. This is a really useful and functional item. But it is also beautifully crafted and a pleasure to look at. The lead in time quoted was fine and achieved. Delivery was flawless, we have never received any item by courier that was as well packaged as this one. Delivery was obviously out sourced, but we must say the delivery driver was the most polite nad professional we have encountered. All in all a fantastic buying experience and a stand out item. We would recommend Boot and Saw enthusiastically. This was a lovely experience from start to finish. Tristan was always keeping me up to date with the progress and delivery of the order. When it arrived, I was delighted with the quality and look of my coat tree. Good quality coat stand, well protected for delivery. Absolutely love it! Beautiful wood and beautifully made. Looks really stylish and holds a lot of coats/bags too. Had to wait a few weeks as made to order but well worth the wait. Was delivered very well wrapped and on a day when we would be in to take delivery. Really pleased with the oak coat stand, beautifully made, unique hand crafted piece, lovely detail and a great feature item. Many thanks. Certainly well protected in transit to say the least. Many thanks, glad I bought from a British crafts company. Cheers. Pleasing appearance, functional, well designed, really stable, and very well made. Very glad I chose it. Very happy. Coat tree is pride of place in our new glazed oak porch and I’m reluctant to hang coats on it and hide it! Thank you. Well made and stylish. Was worried it might look a bit ‘clunky’ but not at all. Also great service following up the delivery company when things got delayed. Fantastic! Really great piece of furniture. Clean looking, no fussy bits. Very pleased.